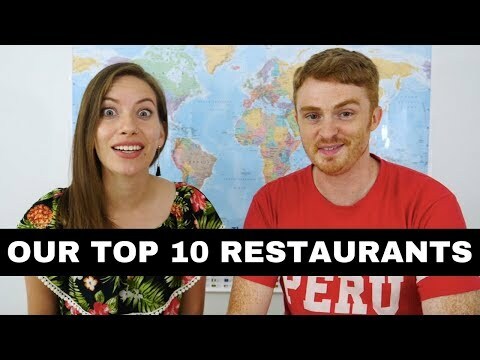 Join us in this video as we list what we feel are the Top 10 Restaurants in Lima, Peru for Peruvian food. Of course, any kind of list is subjective but overall these are our favorite restaurants in Lima and just thinking about them makes our mouths water. Lima is such a foodie city that every single time we come back to revisit we find new restaurants to add to our list of favorites. For instance, on our latest trip we tried Tanta, , Papacho’s and El Bodegon for the first time. In terms of Peruvian food we’d recommend trying classics such as ceviche, lomo saltado, papa a la huancahina, acevichado, empanadas, chifa, nikkei, triples and churros come to mind. What are your favorite restaurants in Lima, Peru? Please let us know in the comments below. Hours: Monday to Sunday 12p.m.–12a.m. Hours: Tuesday to Saturday 12p.m.–12a.m. Sunday 12–5p.m. & Monday 6p.m.–12a.m. Hours: Monday to Saturday 5–11p.m. Hours: Monday to Sunday 12–10p.m. Hours: Tuesday to Saturday 12–5p.m., 7:30–11p.m. Hours: Monday to Friday 12–4p.m., 6:30p.m.–11a.m. Saturday 12–11p.m. & Sunday 12–10:30p.m. Hours: Monday to Sunday 8a.m.–12a.m. Hours: Monday to Friday 12p.m.–12a.m. Saturday 11a.m.–12a.m. & Sunday 11a.m.–10p.m. Saturday 11a.m.–12a.m. & Sunday 11a.m.–9p.m. Hours: Monday to Thursday 7a.m.–1a.m. Esto es parte de nuestra serie de videos Travel in Peru que muestra comida peruana, cultura peruana y cocina peruana de Lima, incluyendo comida Limeña y cocina Limeña.